In Toronto, motor vehicle accident(MVA) concussion treatment has the added complexity of dealing with Ontario MVA-related legislation. There are special requirements for the submission of treatment plans and for direct billing to the insurer. Staff at East Toronto Orthopaedic and Sport Injury Clinic and at Trilogy Physiotherapy have expertise in dealing with all issues related to MVA treatment plans and billing. This, combined with Paul’s knowledge of MVA concussions, makes for a winning combination. What’s different in MVA concussions? 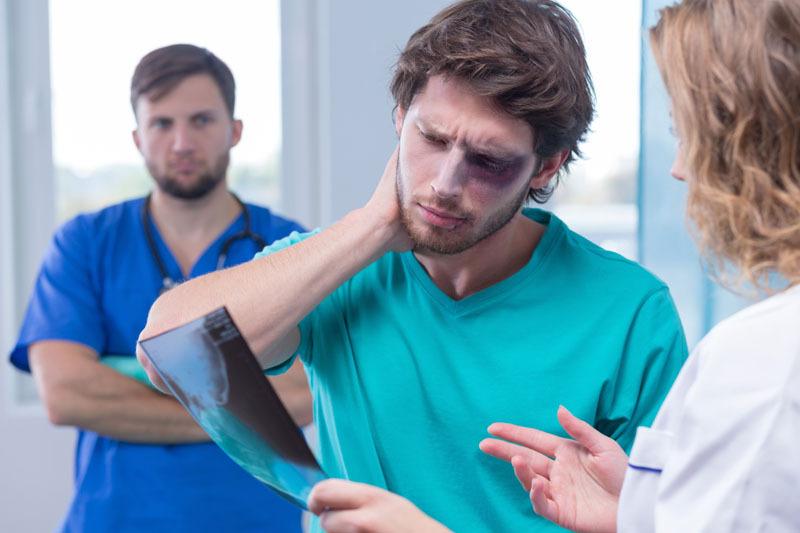 Motor vehicle accident concussions differ from other concussions due to the varied ways the injuries can occur (airbag deployment, windshield injuries, etc.) and the possible involvement of much higher and damaging forces. This can lead to more prolonged recovery. Even more frequent in MVA is the occurrence of concussions caused indirectly through the neck via a strong force to the body. Often the neck (i.e. whiplash) and sometimes the back are also injured in an MVA. Our Toronto motor vehicle accident (MVA) concussion treatment programs therefore include therapies for both the brain and the neck. Manual therapy to restore your range of motion. Special exercises to regain strength, endurance, stability and proprioception. Modalities such acupuncture, laser and interferential current to address your pain. Cardio workouts done regularly are believed to help the concussed brain recover faster. In addition, regular exercise helps to improve both mood and sleep. Paul will start your cardio program by carrying out a gentle grade treadmill test. This will match your efforts with your symptoms, so the right level of cardio exercise can be prescribed for you. Neuroplastic recovery is the brain’s amazing ability to heal itself. Through the repetitive vision, vestibular and cognitive exercises Paul gives you, the brain identifies its problems and learns alternate ways to do things. Due to the forces involved in an MVA, clients often report that they suffer from intermittent vertigo. This vertigo can come from either the concussion itself or from a problem in the inner ear (e.g. BPPV), or occasionally both. Paul’s skills as a certified vestibular therapist allow him to find the source and effectively treat this. It is very important that the skills learnt in these exercise be reintegrated into life through activity reconditioning. As part of Paul’s motor vehicle accident (MVA) concussion treatment program, he will lead you through a progressive system of work, school or sport-mimicking tasks to prepare you to return to regular activities. Getting back work, school, sport and play is important for all individuals with MVA concussions. Paul believes that a graded return to these activities is very important in avoiding the development of chronic symptoms. Paul has a lot of experience in knowing how best to accomplish this following an MVA concussion.